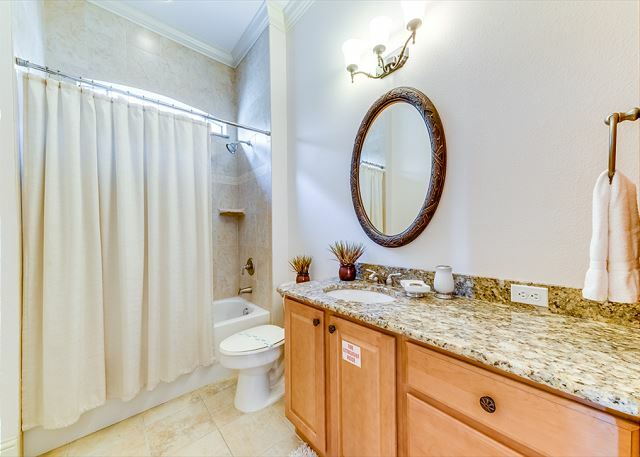 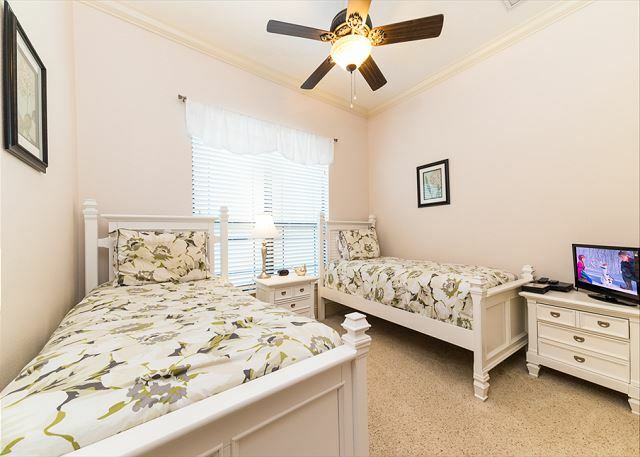 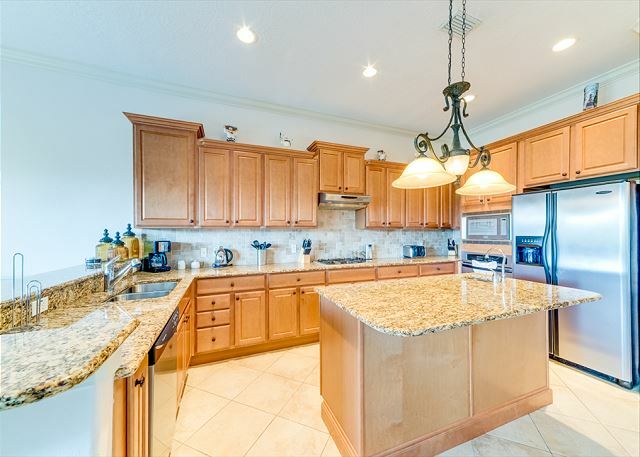 This wonderful Reunion Resort property is conveniently located only 10 minutes from the Disney Parks. 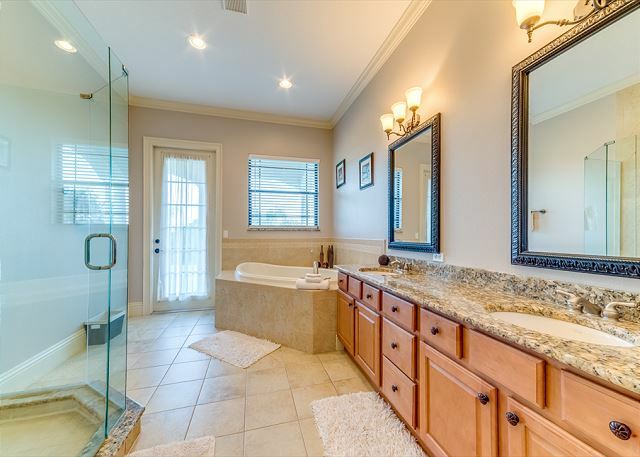 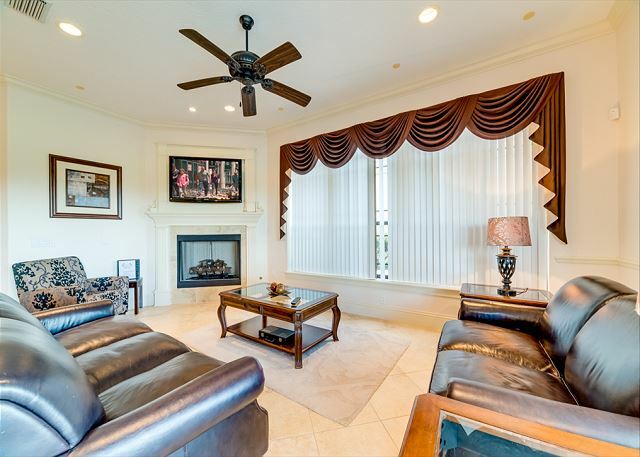 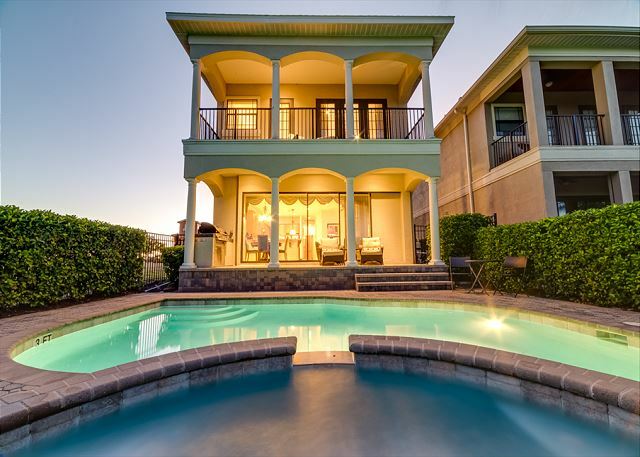 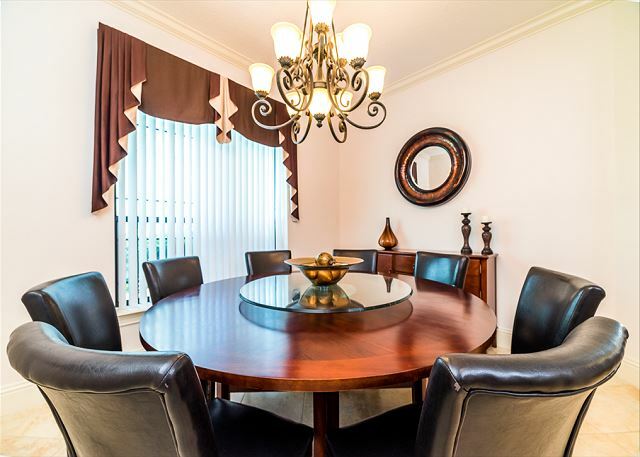 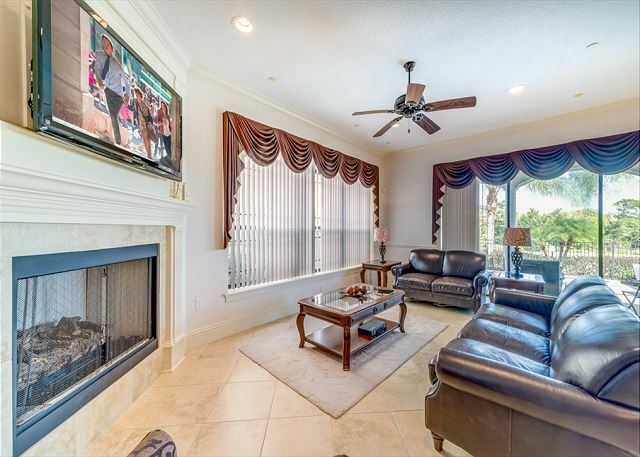 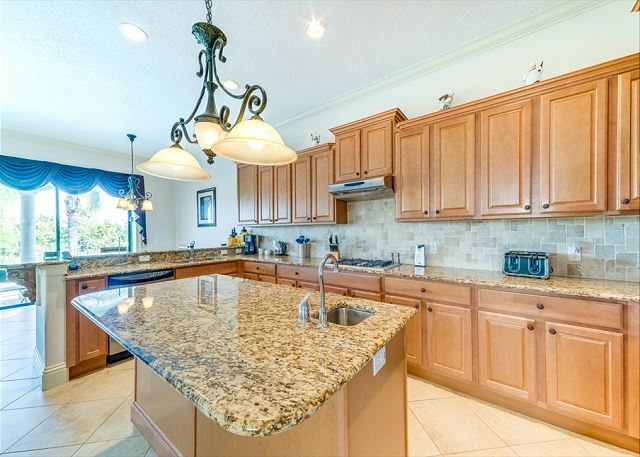 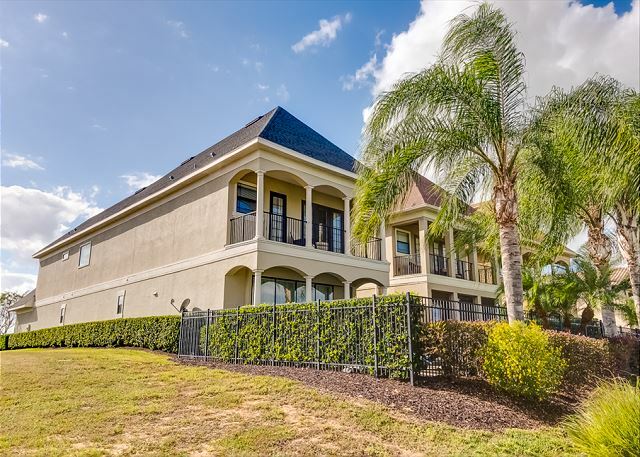 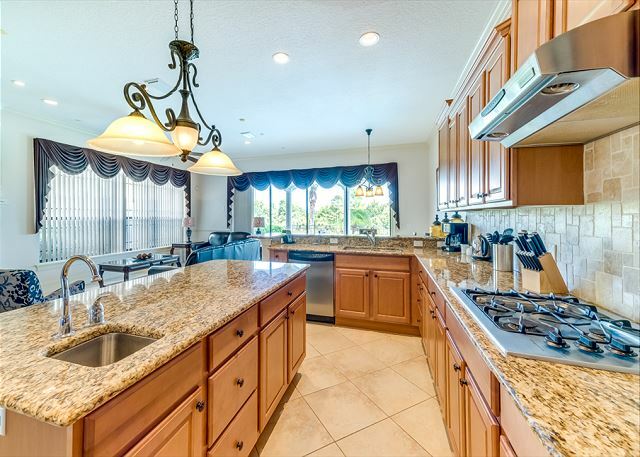 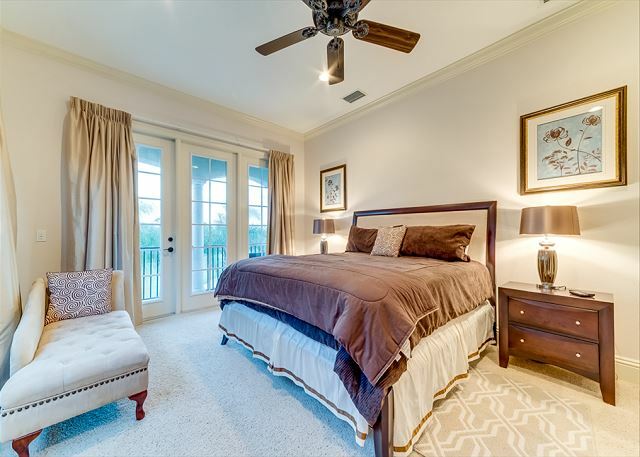 The location of this home is in the prestigious Westside of the gated Reunion Resort community. 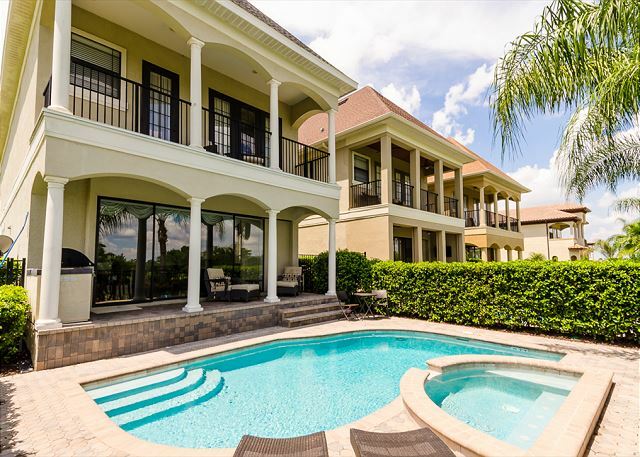 You have your own private pool and spa which overlooks the beautiful view of the golf course. 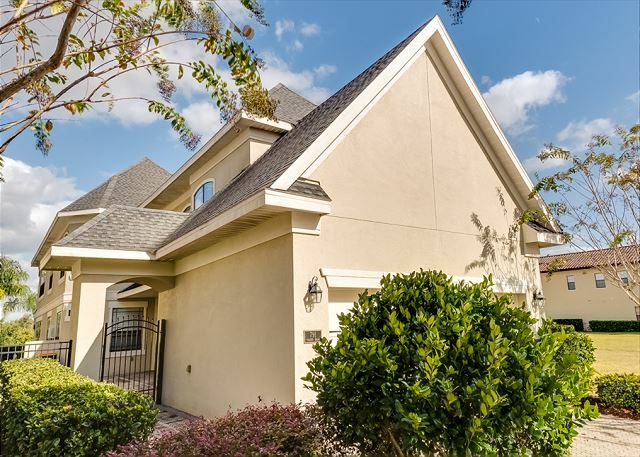 As you enter the gates you will find a beautiful courtyard before the entryway as well as the in-law courtyard suite with its own entry and private bathroom. 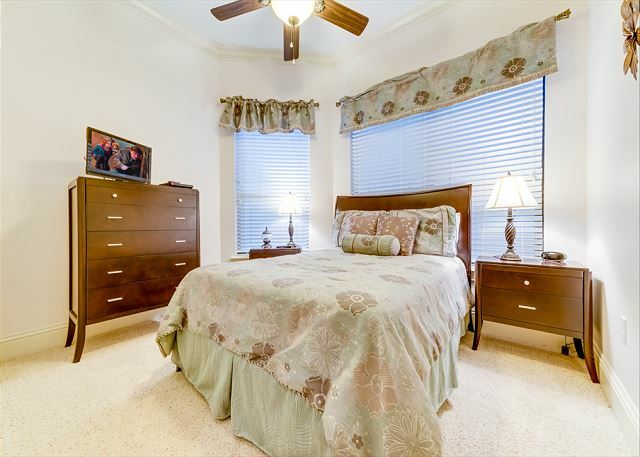 This suite has a comfortable queen bedroom. 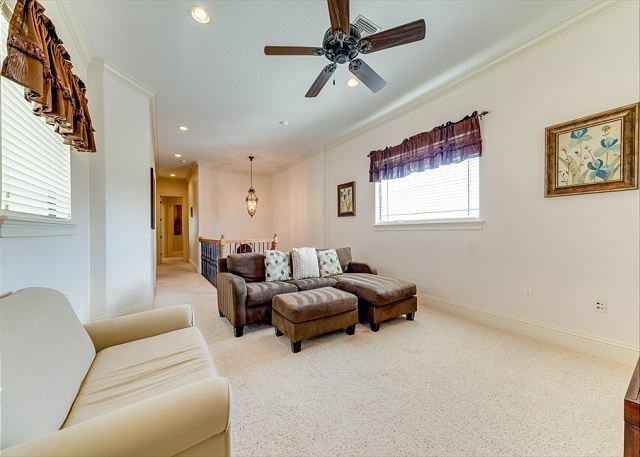 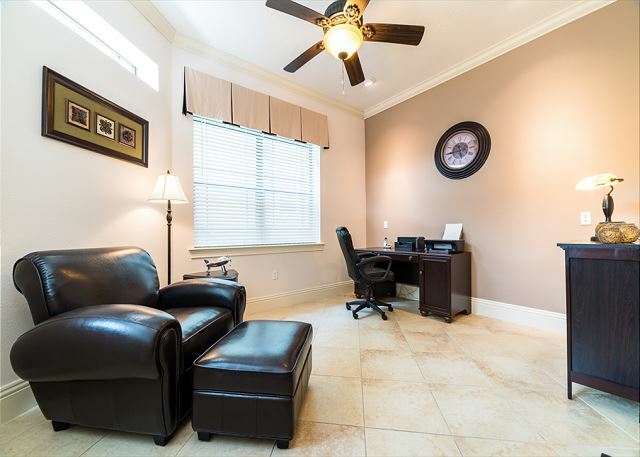 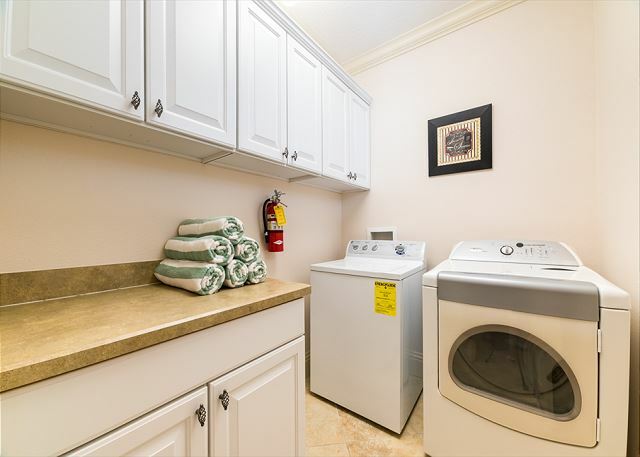 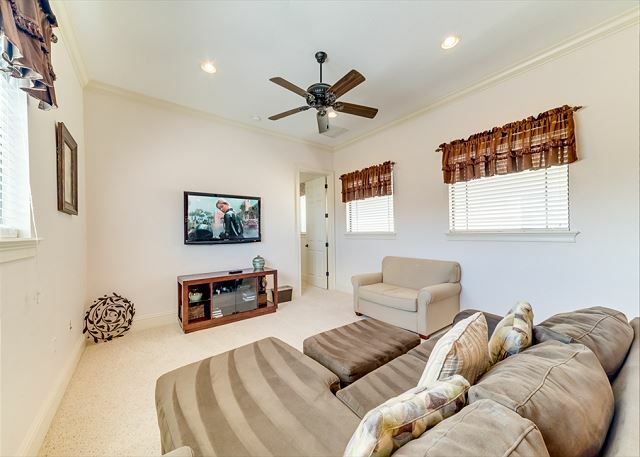 As you enter the main entry of the home you will find a beautiful foyer with private office to the left and complete laundry to the right. 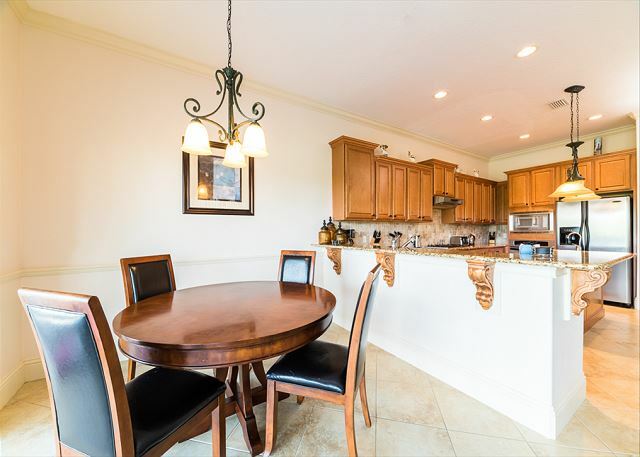 The main floor of the home consists of a formal dining room, living room and luxurious kitchen with eating area. 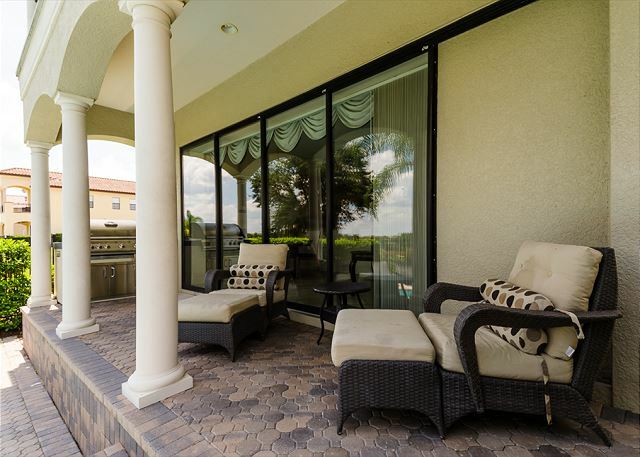 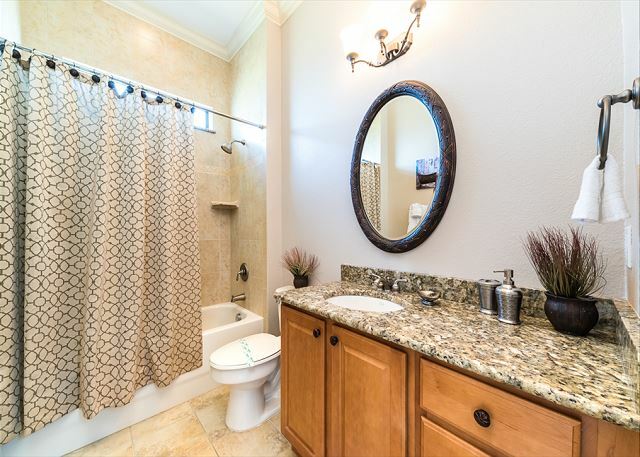 This all flows through to the full length of the back of the home patio doors that open up completely to show off the gorgeous views of the patio and golf course behind. 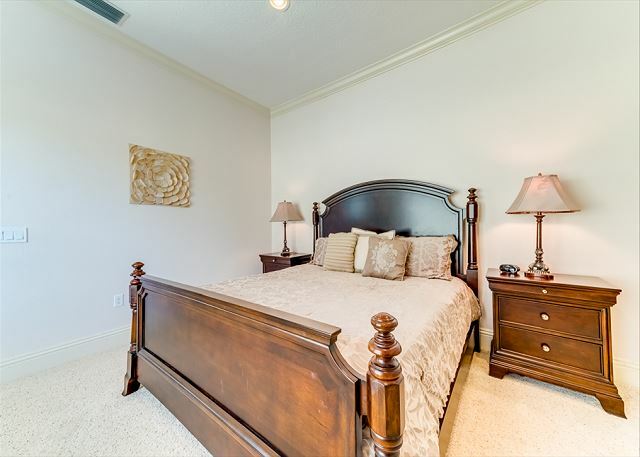 The second floor consists of 2 king master suites, a bedroom with queen bed and another bedroom with 2 twin beds. 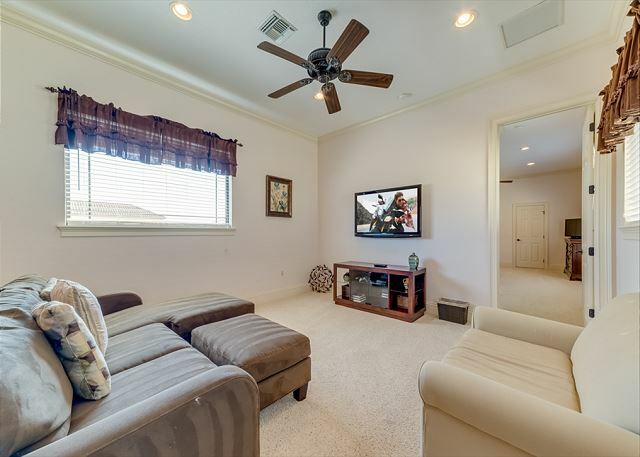 There is a lounge area upstairs which is a great area for the kids to watch a movie or play games on the provided xbox360.